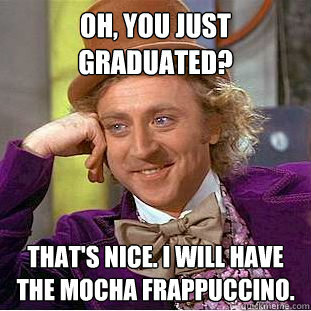 Oh, you just graduated. That's nice. I will have the mocha frappuccino.